Guided tours of Dundurn Castle & Scottish Rite of Freemasonry Masonic Temple. Dinner included! Our haunted tour today takes us to one of the most haunted cities in Canada... Hamilton, Ontario! Our day trip includes guided tours inside both Dundurn Castle as well as the Scottish Rite of Freemasonry Masonic Temple, one of the largest Masonic temples in Canada. We also do a mystery bus tour of Hamilton, visiting some more haunted places for photo opportunities from the outside of the facilities. You never know what images your camera might capture. We stop for lunch in downtown Hamilton. Lunch is on your own. An early dinner at the Dutch Mill Country Market is included in the tour price. Round trip transportation on a deluxe highway motorcoach from Toronto. Admission & guided tour to Dundurn Castle included. Admission & guided tour of the Scottish Rite of Freemasonry included. 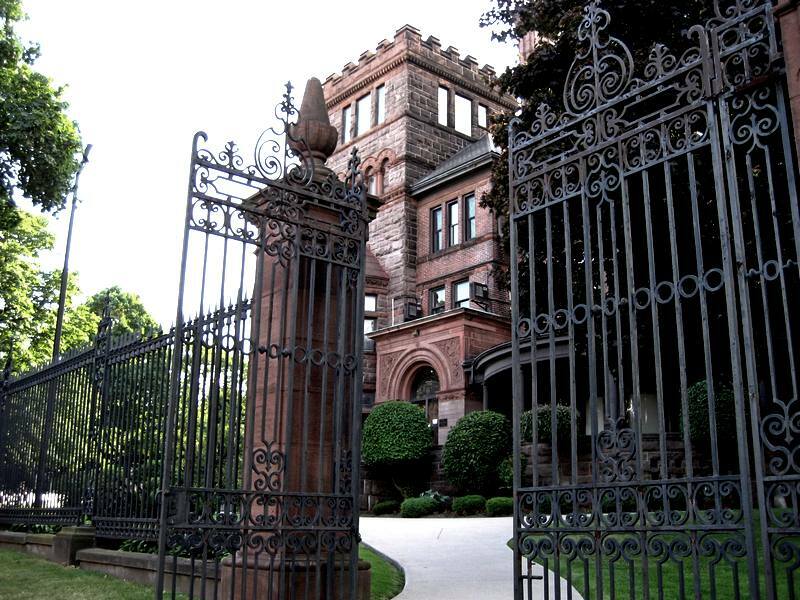 Bus tour of haunted Hamilton venues included. Early dinner at Dutch Mill Country Market included included. Escorted tour with tour director available through the trip. This tour involves stairs and moderate walking and is NOT recommended for those with mobility issues. Elevators are not available at any of the venues. Please note this is a long day and we will not return to the Toronto area until 9:30 PM. Please wear comfortable shoes and dress in layers, all of the tours involve being outside for part of the time. Cancel 7 days before departure date and receive a full refund. Sorry but no refunds if booking is cancelled with less than 7 days notice. We have 3 pickup locations in the Toronto area. Sorry but due to time constraints, we are not able to add any more pickup locations. Dundurn Castle, home to one of British Canada's first prime ministers - Sir Allan MacNab, is an authentic example of how the rich lived over 180 years ago and remains Hamilton's best historical site. Dundurn Castle has been restored to it's splendor of 1855 - the time when Sir Allan MacNab was at the height of his career as a lawyer, landowner, railway tycoon and the prime minister. ​On a side note, the Duchess of Cornwall, and wife to Prince Charles, is a direct decendant of Sir Allan MacNab. Officially she's the great-great grand daughter of MacNab's daughter Sophia. 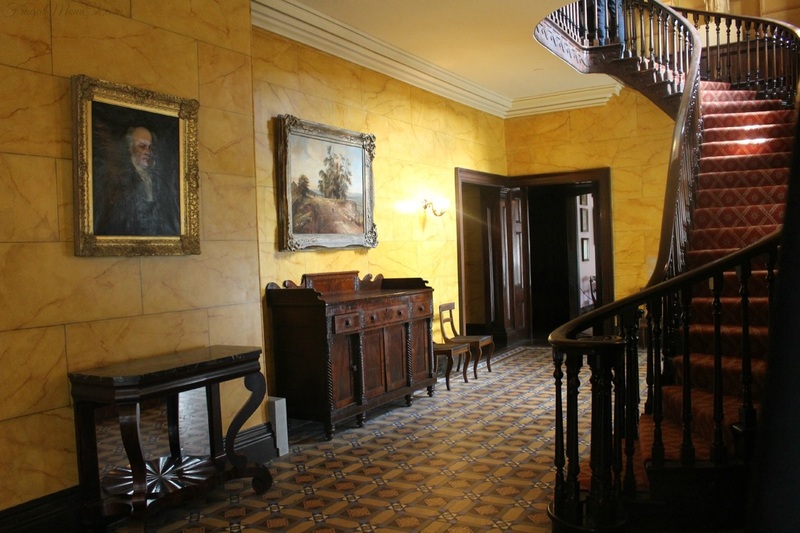 There are many ghostly possibilities at Dundurn Castle. Eight men were hung for treason right across the street in 1813. Cholera victims were transported to the plague sheds right across the street from the castle where they died a lonely death in a new and strange land. Sir Allen and his family also seem to haunt the castle. Outside the room where his second wife Mary wasted away from consumption it is said there is always a cold chill and a mysterious breeze that blows out the candles. There are mysterious drafts, objects moving around and on some occasions visitors and others have heard strange music and singing. Since this location has been continuously occupied since prehistoric times, there may be spirits of all sorts wandering the halls of Dundurn at night. 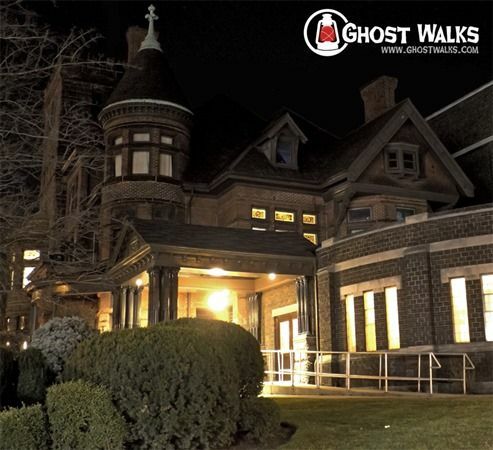 Our tour at the Scottish Rite will be conducted by the professional guides from Ghost Walks of Hamilton. ​Stories of ghosts and a secret society have surrounded The Scottish Rite for over 100 years. We've been given special permission to enter this sacred space for the first time in over 7 years! Our tour will take us inside the confines of Tuckett's Tower mansion and the Scottish Rite Masonic Cathedral. The mansion's active woman ghost, the Tuckett tunnel, and the reality of Freemasonry inside Canada's largest Masonic Temple. ​It is also one of the most haunted rooms that ghost hunters have ever experienced. Dutch Mill Country Market is a unique and inviting experience. We will be having an early dinner at the Mill at approximately 4:30 PM.